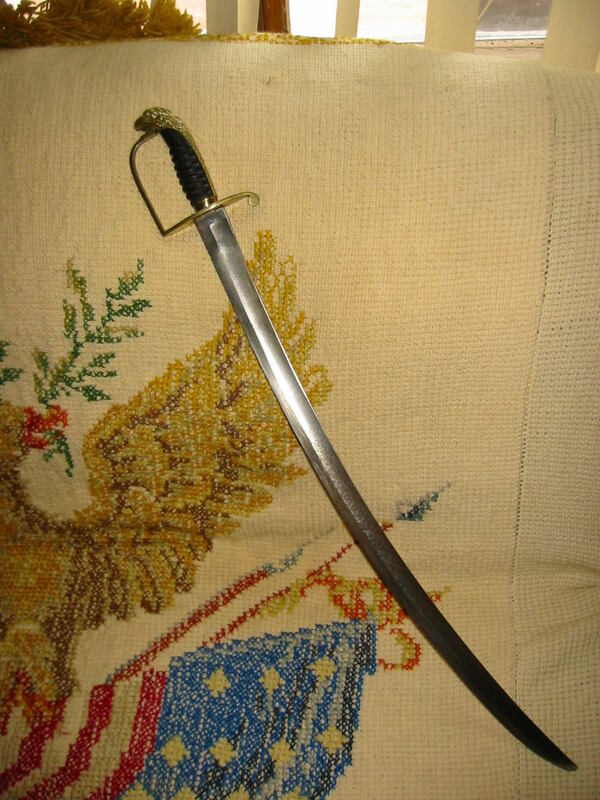 I'm new here because I just bought my first sword and I'm hoping someone can tell me if it's real or a fake/reproduction. And also if you have time, a few quick pointers about how you can tell. Also, should I clean the blade? It's quite dark but I'm afraid to mess around with it. It almost looks like it has some dark material wiped onto it. It looks ok to me. The blade etching looks interesting. It is hard to tell what the covering might be. Sometimes varnish was used to preserve blades. You might try using acetone on the metal but if the coating is also on the leather, that can cause some issues. Use whatever solvent you use on a pot and let it soften the coating, then to be scrubbed off with copper, bronze or even fine steel wool. 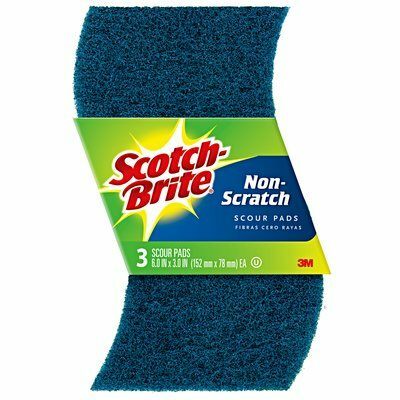 I use copper kitchen scrubbies and the blue plastic Scoth-brite looking thingies. removing whatever may be coating the grip may become problematic, proceed with utmost gentleness. Some pictures of the overall in profile would be neat to see. What is the overall length (in a straight line) and how long is the blade? Runkel, of Solingen, exported swords and bare blades to England and actually had an operation/sales there. You may want to cross post this over to http://www.swordforum.com/forums/forumdisplay...word-Forum as there are many British collectors over there. Thanks, Glen! I'll try to find time to post a few more pictures and I need to do the measurements also. The blade etchings are quite intriguing and being so new to this, I don't know what to make of them. They seem strangely amateurish but highly symbolic. Are they put there after original purchase by the soldier? I've attached 4 more pictures so you can see all of them. Honestlly..if it is genuine..and I don't see anyone going to that much detail work on the blade on a modern replica - I'd leave it alone. It looks pretty good for it's age. whatever the coating is, it's done it's job very well. In a way..the coating may be just as much an antique as the sword itself. Unless it's all sticky and gummy , getting over your hands as it's handled. I'd be leaving it alone. Any non-professional attempts to "clean-up" any old weapon will probably lessen it's value to a collector. Unless the item is in serious danger of damage or deteriorisation it's best left "as-is" . Black rust is good rust. I'd leave it as is. bright red/orange rust is active rust that is eating at the metal, black or dark brown rust is for the most part stable. A good oiling or a coating of renwax is all it needs. Thanks Ralph and Tom for your input! I've found so many different opinions online about whether to clean or not to clean, how to do it, what to use...seems like nobody agrees with anybody else. I do kind of wish it were a bit more silver and it really looks like there's some leftover black streaking on it, but I think I'll just keep it as is for now and ponder whether I might do anything to it in the future. I have seen at least a couple of people saying to wipe it down with oil which itself can do a bit of cleaning and sounds fairly harmless. Remember..it can always be cleaned LATER if it really needs it..but it can never be..un-cleaned. Adding atop of old gunk is simply adding new gunk. I think a lot of people get the wrong idea when approaching artifacts. There is a real difference between dirt, over applications and patina. We could easily be dealing with just an accumulation of old oil. Think about that. One does not apply ren wax on an oiled blade until the blade has been cleaned, right? Am I right? So why then would any add wax or coat on top of old wax or coat? There is nothing wrong with solvents on blades unless there is blue and gilt. In this case, long gone with perhaps some heat bluing when it was new. Oiling and then using even alcohol to clean that off could easily start to smear whatever coating/dirt/grime/stuff remains and then you want to coat that with ren wax? One sword I bought from a tenured collector that likes paste wax had smothered a sword with black rust that was quietly becoming iron powder under that. A recent acquisition heavily cold blued by a collector developing scale rust blooming under that. Give me clean and dry any day. I have been playing with silicone spray and silicone glaze over the years and I am not convinced even of that. 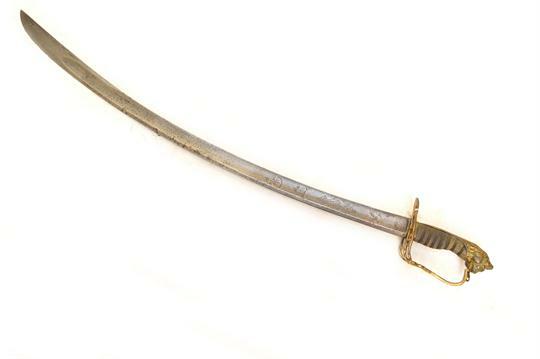 A case in point attached, a shellac or varnish on this early 19th century sword. Before and after. No material loss, simply cleaned. Gold btw. Fire gilding on brass. Yes, there was a small amount of red rust on the blade under the coating. Every item should be considered individually but a little common sense can go a long way. Looking at the sword posted above is one I would personally regard as a candidate to get to metal. There is no blue&gilt. There is a leather grip, be careful. I see crud that can be easily removed but hey, it's not my sword. If flipping it for sale, sure, don't touch it at all. Planning on admiring it? Treat it with some respect and give it a good cleaning, including old sun tan lotion. I display dozens publicly and one common question is, how come you don't clean them? I point to the ones I have and typically do still look their 200+ yrs old. There is a huge difference between scraping and cleaning. I usually just clean. Mangled blades sometimes get polished back to respectfully presented. Some are left pretty much alone. It all depends and in this case suggested approaching it with care and checking a spot somewhere to see if a solvent loosens the muck. The eagle above is a case of a "new" old stock probably little worn but wrapped up in a rag after shellac or varnish to surface with its grime. It remains clean and dry now, not too different from it was new. Value? I found it ignored on ebay, based mostly on condition (appearance) and a new (one time/0 feedback) seller. Basically, good stuff at half price. My simple cleaning would indeed reap that profit if I listed it. While not always the case, the sword Scott posted needs more investigation and I think I alluded to that. Use good judgement (whatever the individual decides on). This picture shows the hilt and part of the blade relieved of gunk. The leather grip left alone, as that had been covered as well and a solvent might be detrimental. Nothing wrong with doing nothing at this point. In the end, all components of the item are identifiable and can usually be easily treated for their benefit. Glen, thanks for all your detailed thoughts. How do you get the photos to appear inline and not as invisible "attachments"? You talk about using kitchen scrubbies, but in my experience with pots etc. those will put fine scratches on the metal. I'm thinking of the green commercial scrubbies mostly. I have a handmade one that doesn't appear to scratch metal. My feeling right now is the sword looks pretty cool in its grayish state but the dark streaks do bother me as they are clearly something that a person has put on the blade. Ideally I'd like to remove that stuff and have more of a shine. It's also really hard to see some of the engravings because there's so much black/gray junk all over. Also the blade is quite pitted in many areas and black something is in those and all this talk of blackness obscuring rust is concerning. I'll keep pondering, but if you can clarify what kind of scrubbie you were talking about that would be cool. Also I did measure it, the overall length is 34" and the blade alone is 29". As far as the imaging goes, there are a couple of ways and means that cause or enable why your uploads don't automatically appear. Uploading to this board, your images are large and the system hosts them but at a limit, do not automatically appear. You need to resize and/or compress the image. One option I have downloaded to my Windows machine and works somewhat seamlessly is http://www.onthegosoft.com/shrink_pic.htm The second option for display and how I am showing images in sequence with text is to host the images remotely and using the url with [img] [/img] tags. I have been lately uploading to and using www.imgur.com. There are other alternatives for both resizing or hosting. I dislike the finer wool like stuff such as bronze wool and fine steel wool because of the extra fine particles being shed, then makes a mess. Especially steel wool and oil (which actually works really well for some applications). There are many, many tools and methods. One noted collector doing a lot of videos (Matt Easton) is using a wire brush in a drill. Eeeeek! Ya, ok but not on a lot of my old stuff. He is scraping later swords and why I alluded to cleaning vs scraping in a previous post. Another vocal forumite elsewhere truly scrapes antiques with more of a beyond restorative level and obliterating the original levels of grinds and finishes using a lot of automotive type abrasive papers. I use it as well at time but trying not to remove the original grinding and polishing marks. I have only ever attacked one blade entirely to polish out some heavier scratches from errant sharpening. For other gentle abrasives, I like Noxon above many alternatives. It contains oxalic acid that can soften crud. Lather it on and let it sit until dry. I use it on blades a lot while scrubbiing it off with either blue or green depending on levels. 800 and 1200 grit auto papers both dry, watered or light oil. I swore off aluminum foil and olive oil but some enjoy it Really, there is so much more to my own little shop of horrors, such as Silver Secret, super glue, Braun electric toothbrush, Windex, Liquid Wrench, toothpicks; on and on. Always trying new things and new polishing compounds. Another favorite soft abrasive is baking soda. There are a bazillion light abrasives. Nevr-Dull works great!! White spirits, cotton wadding, clay and silica, Good stuff. Simi-Chrome, I've used since the late 1960s but use it more on things like plastic watch crystals now (after using sand papers). Ground coffee, shoe polish and superglue did well on one of my horn grips. Similarly shoe polish and superglue on a very small chip for an expensive stag repair. Styrofoam beads from a cup and superglue with a bit brewed coffee for color to do a rayskin grip repair that turned out seamlessly, as do most of my experiments. I won't suggest any follow my methods to a T but c'mon guys. The elements we are working with are fairly basic to push around and mold or refine just about anything. Carborundum on mineral glass watch crystals to start a new life? I've gone that far, finishing with Simi-Chrome. Yes using magnification and grumbling over my own mistakes. In the end, it is my stuff getting done my way. Doing less than more is really my favorite past time but some become much nicer with a bit of cleaning, nurturing and care. I don't post this as gospel or a definitive tutorial but more of a stream of thought in regard to my own methodologies. There are some tips at the main page here at myArmoury and many more tips on youtube, via searches. I have no monopoly on crafts. Heck even the edge of a coin or "preferred" horn pick can work in some applications, I like coins for scraping and burnishing in fullers. Dental tools, The inventory may end up an exhaustive search and realization. Enough of this, after a coffee. One can add text to any attachment and could be referenced as a footnote in writing the main body of text. Enjoy!!! Oh, and regarding size, your sword is not one that was meant for cavalry but rather infantry work. It is not uncommon for any p shaped hilt to be called a 1796 but it is just a form that prevails over many decades both before and well after 1796. 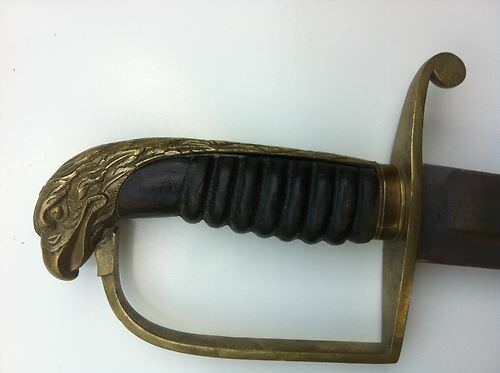 You've got a stylized winged dragon along with the usual floral motifs: many of Runkel's blades in the early 1800s had this dragon - it seems like one of the decorative options that was available on his blades. 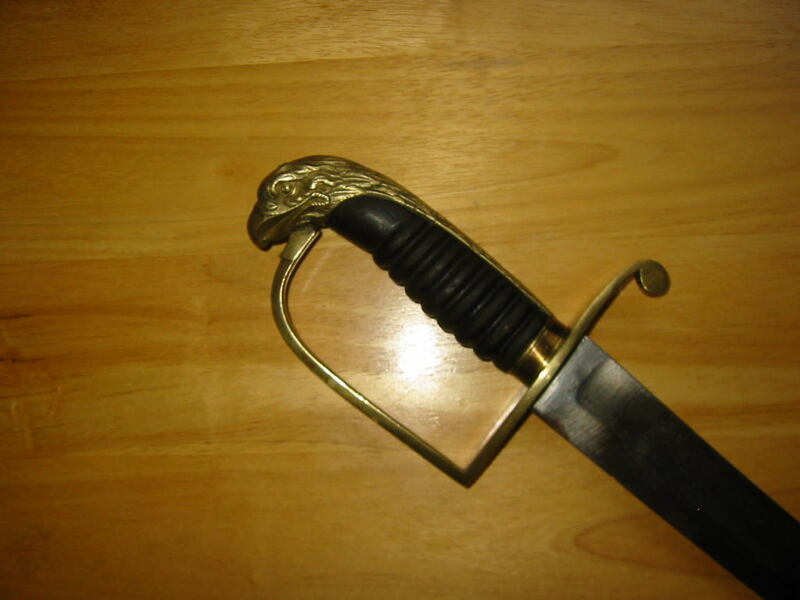 I used to own an 1803 pattern infantry officer's sword with exactly the same etched designs as your sword. Good to know, and thanks for all the detailed info on cleaning! No photo of my 1803; it was sold off a long time ago! Sorry! Why not try Google? I asked myself. The ivory gripped sword has the dragon near where the b&g ends. The 1803's blade looks like a twin to the blade in your sword. Cool! I've done tons of searches generally but never tried to find the etchings specifically.